1. Fournier MC, Foucher Y, Blanche P, Legendre C, Girerd S, Ladrière M, Morelon E, Buron F, Rostaing L, Kamar N, Mourad G, Garrigue V, Couvrat-Desvergnes G, Giral M, Dantan E (2019) Dynamic predictions of long-term kidney graft failure: an information tool promoting patient-centred care.. Nephrology Dialysis Transplantation: . 2. Lorent M, Maalmi H, Tessier P, Supiot S, Dantan E, Foucher Y (2019) Meta-analysis of predictive models to assess the clinical validity and utility for patient-centered medical decision making: application to the CAncer of the Prostate Risk Assessment (CAPRA). BMC Med Inform Decis Mak, 19(1): . 3. Caruana E, Foucher Y, Tessier P, Frenel JS, Classe JM, Dantan E (2019) Patient-centered simulations to assess the usefulness of the 70-gene signature for adjuvant chemotherapy administration in early-stage breast cancer. Breast Cancer Res Treat: . 4. Couvrat-Desvergnes G, Foucher Y, Le Borgne F, Dion A, Mourad G, Garrigue V, Legendre C, Rostaing L, Kamar N, Kessler M, Ladrière M, Morelon E, Buron F, Giral M, Dantan E (2018) Comparison of graft and patient survival according to the transplantation centre policy for 1-year screening biopsy among stable kidney recipients: a propensity score-based study. Nephrol Dial Transplant: . 5. Dantan E, Foucher Y, Lorent M, Giral M, Tessier P (2018) Optimal threshold estimator of a prognostic marker by maximizing a time-dependent expected utility function for a patient-centered stratified medicine. Statistical Methods in Medical Research, 27(6): 1847-1859. 6. Giral M, Renaudin K, Naessens M, Luning R, Anglicheau D, Morelon E, Huneau A, Paul C, Brouard S, Couvrat-Desvergnes G, Foucher Y, Dantan E (2018) The 1-year Renal Biopsy Index: a scoring system to drive biopsy indication at 1-year post-kidney transplantation. Transplant International, 31: 947-955. 7. Gillaizeau F, Senage T, Le Borgne F, Le Tourneau T, Roussel J, Leffondrè K, Porcher R, Giraudeau B, Dantan E, Foucher Y (2018) Inverse probability weighting to control confounding in an illness-death model for interval-censored data. Stat Med, 37(8): 1245-1258. 8. Foucher Y, Lorent M, Tessier P, Supiot S, Sébille V, Dantan E (2018) A mini-review of quality of life as an outcome in prostate cancer trials: patient-centered approaches are needed to propose appropriate treatments on behalf of patients. Health Qual Life Outcomes, 16(1): 40. 9. Bodet-Contentin L, Frasca D, Tavernier E, Feuillet F, Foucher Y, Giraudeau B (2018) Ventilator-Free Day Outcomes Can Be Misleading. Crit Care Med, 46(3): 425-429. 10. Querard AH, Le Borgne F, Dion A, Giral M, Mourad G, Garrigue V, Rostaing L, Kamar N, Loupy A, Legendre C, Morelon E, Buron F, Foucher Y, Dantan E (2018) Propensity score-based comparison of the graft failure risk between kidney transplant recipients of standard and expanded criteria donor grafts: towards increasing the pool of marginal donors.. American Journal of Transplantation, 18(5): 1151-1157. 11. Le Borgne F, Combescure C, Gillaizeau F, Giral M, Chapal M, Giraudeau B, Foucher Y (2017) Standardized and weighted time-dependent ROC curves to evaluate the intrinsic prognostic capacities of a marker by taking into account confounding factors. Statistical Methods in Medical Research: 962280217702416. doi: 10.1177/0962280217702416. 12. Le Borgne F, Giraudeau B, Querard AH, Giral M, Foucher Y (2016) Comparisons of the performance of different statistical tests for time-to-event analysis with confounding factors: practical illustrations in kidney transplantation. Stat Med, 35(7): 1103-16. 13. Querard AH, Foucher Y, Combescure C, Dantan E, Larmet D, Lorent M, Pouteau LM, Giral M, Gillaizeau F (2016) Comparison of survival outcomes between Expanded Criteria Donors and Standard Criteria Donors kidney transplant recipients: a systematic review and meta-analysis. Transplant International, 29(4): 403-15. 14. Fournier MC, Foucher Y, Blanche P, Buron F, Giral M, Dantan E (2016) A joint model for longitudinal and time-to-event data to better assess the specific role of donor and recipient factors on long-term kidney transplantation outcomes. European Journal of Epidemiology, 31(5): 469-79. 15. Barbin L, Rousseau C, Jousset N, Casey R, Debouverie M, Vukusic S, De Seze J, Brassat D, Wiertlewski S, Brochet B, Pelletier J, Vermersch P, Edan G, Lebrun-Frenay C, Clavelou P, Thouvenot E, Tourbah A, Stankoff B, Foucher Y, Laplaud D (2016) Comparative efficacy of fingolimod vs natalizumab: A French multicenter observational study. Neurology: . 16. Leyrat C, Caille A, Foucher Y, Giraudeau B (2016) Propensity score to detect baseline imbalance in cluster randomized trials: the role of the c-statistic. BMC Med Res Methodol, 16: 9. 17. Sébille V, Hardouin JB, Giral M, Bonnaud-Antignac A, Tessier P, Papuchon E, Jobert A, Faurel-Paul E, Gentile S, Cassuto R, Morelon E, Rostaing L, Glotz D, Sberro-Soussan R, Foucher Y, Meurette A (2016) Prospective, multicenter, controlled study of quality of life, psychological adjustment process and medical outcomes of patients receiving a preemptive kidney transplant compared to a similar population of recipients after dialysis. BMC Nephrol, 17(1): 11. 18. Couvrat-Desvergnes G, Salama A, Le Berre L, Evanno G, Viklicky O, Hruba P, Vesely P, Guerif P, Dejoie T, Rousse J, Nicot A, Basch J, Ang E, Foucher Y, Brouard S, Castagnet S, Giral M, Perreault H, Lorent M, Soulillou JP (2015) Rabbit antithymocyte globulin-induced serum sickness disease and human kidney graft survival. J Clin Invest, 125(12): . 19. Chapal M, Foucher Y, Marquette C, Néau K, Papuchon E, Daguin P, Morelon E, Mourad G, Castillo J, Ladrière M, Legendre C, Giral M (2015) PREventing Delayed Graft Function by Driving Immunosuppressive InduCtion Treatment (PREDICT-DGF): study protocol for a randomized controlled trial. Trials, 16(1): 282. 20. Gillaizeau F, Dantan E, Giral M, Foucher Y (2015) A multistate additive relative survival semi-Markov model. Statistical Methods in Medical Research, 26(4): 1700-1711. 21. Foucher Y, Meurette A, Daguin P, Bonnaud-Antignac A, Hardouin JB, Néau K, Papuchon E, Guaboriau S, Legendre C, Morelon E, Tessier P, Giral M (2015) A Personalized Follow-up of Kidney Transplant Recipients by Using Video Conferencing based on a 1-year scoring system predictive of long term graft failure (TELEGRAFT study): Protocol for a Randomized Controlled Trial. BMC Nephrology, 16(1): 6. 22. Senage T, Le Tourneau T, Foucher Y, Pattier S, Michel M, Mugniot A, Perigaud C, Carton F, Al Habash O, Baron O, Roussel J (2014) Early Structural Valve Deterioration of Mitroflow aortic bioprosthesis : mode, incidence and impact on outcome in a large cohort of patients. Circulation, 130(23): 2012-20. 23. Chapal M, Le Borgne F, Legendre C, Kreiss H, Mourad G, Garrigue V, Morelon E, Buron F, Rostaing L, Kamar N, Kessler M, Ladrière M, Soulillou JP, Launay K, Daguin P, Offredo L, Giral M, Foucher Y (2014) A useful scoring system for the prediction and management of delayed graft function following kidney transplantation from cadaveric donors. Kidney International, 86(6): 1130-9. 24. Le Bourgeois A, Labopin M, Guillaume T, Foucher Y, Tessoulin B, Malard F, Ayari S, Peterlin P, Derenne S, Herry P, Cesbron A, Gagne K, Lodé L, Illiaquer M, Imbert-Marcille B, Le Gouil S, Moreau P, Mothy M, Chevallier P (2014) HHV-6 reactivation before engraftment is strongly predictive of graft failure after double umbilical cord blood allogeneic stem cell transplantation in adults. Experimental Hematology, 42(11): 945-54. 25. Debout A, Foucher Y, Trébern-Launay K, Legendre C, Kreiss H, Mourad G, Garrigue V, Morelon E, Buron F, Rostaing L, Kamar N, Kessler M, Ladrière M, Poignas A, Blidi A, Soulillou JP, Giral M, Dantan E (2014) Each additional hour of Cold Ischemia Time significantly increases the risk of graft failure and mortality after renal transplantation. Kidney International, 87: 343-9. 26. Rabot N, Buchler M, Foucher Y, Moreau A, Debiais C, Machet M, Kessler M, Morelon E, Thierry A, Legendre C, Rivalan J, Kamar N, Dantal J (2014) CNI withdrawal for post-transplant lymphoproliferative disorders in kidney transplant is an independent risk factor for graft failure and mortality. Transplant Internationnal, 27(9): 956-65. 27. Yap M, Boeffard F, Clave E, Pallier A, Danger R, Giral M, Dantal J, Foucher Y, Guillot-Gueguen C, Toubert A, Soulillou JP, Degauque N (2014) Expansion of Highly Differentiated Cytotoxic Terminally Differentiated Effector Memory CD8+ T Cells in a Subset of Clinically Stable Kidney Transplant Recipients: A Potential Marker for Late Graft Dysfunction. J Am Soc Nephrol, 25(8): 1856-68. 28. Combescure C, Foucher Y, Jackson D (2014) Meta-analysis of single-arm survival studies: a distribution-free approach for estimating summary survival curves with random effects. Statistics in Medicine, 33(15): 2521-37. 29. Lorent M, Giral M, Foucher Y (2014) Net time-dependent ROC curves: a solution for evaluating the accuracy of a marker to predict disease-related mortality. Statistics in Medicine, 33(14): 2379-89. 30. Guillou-Landreat M, Sébille V, Victorri-Vigneau C, Foucher Y, Vénisse JL, Jolliet P (2014) Buprenorphine prescription compliance: an original observational and longitudinal study. Journal of Psychoactive Drugs, 46(2): 162-7. 31. Dantan E, Combescure C, Lorent M, Ashton-Chess J, Daguin P, Classe JM, Giral M, Foucher Y (2014) An original approach was used to better evaluate the capacity of a prognostic marker using published survival curves. Journal of Clinical Epidemiology, 67(4): 441-8. 32. Foucher Y, Akl A, Rousseau V, Trébern-Launay K, Lorent M, Kessler M, Ladrière M, Legendre C, Kreiss H, Rostaing L, Kamar N, Mourad G, Garrigue V, Morelon E, Daurès JP, Soulillou JP, Giral M (2014) An alternative approach to estimate age-related mortality of kidney transplant recipients compared to the general population: results in favor of old-to-old transplantations. Transplant International, 27(2): 219-25. 33. Combescure C, Perneger T, Weber D, Daurès JP, Foucher Y (2014) Prognostic ROC Curves: A Method for Representing the Overall Discriminative Capacity of Binary Markers with Right-Censored Time-to-Event Endpoints. Epidemiology, 25(1): 103-9. 34. Chapal M, Néel M, Le Borgne F, Meffray E, Carceles O, Hourmant M, Giral M, Foucher Y, Moreau A, Fakhouri F (2013) Increased soluble flt-1 correlates with delayed graft function and early loss of peritubular capillaries in the kidney graft. Transplantation, 96(8): 739-44. 35. Giral M, Foucher Y, Dufay A, Duong Van Huyen J, Renaudin K, Moreau A, Philippe A, Hegner B, Dechend R, Brouard S, Cesbron A, Castagnet S, Devys A, Soulillou JP, Dragun D (2013) Pretransplant Sensitization Against Angiotensin II Type 1 Receptor Is a Risk Factor for Acute Rejection and Graft Loss. American Journal of Transplantation, 13(10): 2567-76. 36. Trébern-Launay K, Giral M, Dantal J, Foucher Y (2013) Comparison of the risk factors effects between two populations: two alternative approaches illustrated by the analysis of first and second kidney transplant recipients. BMC Medical Research Methodology, 13: 102. 37. Cantarovich D, Hodemon-Corne B, Trébern-Launay K, Giral M, Foucher Y, Dantan E (2013) Early steroid withdrawal compared with steroid avoidance correlates with graft failure among kidney transplant recipients with an history of diabetes. Transplantation Procedings, 45(4): 1497-502. 38. Danger R, Paul C, Giral M, Foucher Y, Degauque N, Pallier A, Durand M, Castagnet S, Duong Van Huyen J, Delahousse M, Renaudin K, Soulillou JP, Brouard S (2013) Expression of miR-142-5p in peripheral blood mononuclear cells from renal transplant patients with chronic antibody-mediated rejection. PLoS One, 8(4): e60702. 39. Brouard S, Pallier A, Renaudin K, Foucher Y, Danger R, Devys A, Cesbron A, Guillot-Gueguen C, Ashton-Chess J, Le Roux S, Harb J, Roussey G, Subra JF, Villemain F, Legendre C, Bemelman FJ, Orlando G, Garnier A, Jambon H, Le Monies De Sagazan H, Braun L, Noel C, Pillebout E, Moal MC, Cantarell C, Hoitsma A, Ranbant M, Testa A, Soulillou JP, Giral M (2012) The Natural History of Clinical Operational Tolerance After Kidney Transplantation Through Twenty-Seven Cases. Am J Transplant, 12(12): 3296-307. 40. Danger R, Foucher Y (2012) Time dependent ROC curves for the estimation of true prognostic capacity of microarray data. Statistical Applications in Genetics and Molecular Biology, 11(6): Article 1. 41. Combescure C, Daurès JP, Foucher Y (2012) A literature-based approach to evaluate the predictive capacity of a marker using time-dependent summary receiver operating characteristics. 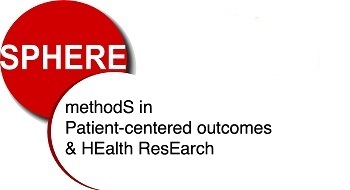 Stat Methods Med Res: online first. 42. Trébern-Launay K, Foucher Y, Giral M, Legendre C, Kreiss H, Kessler M, Ladrière M, Kamar N, Rostaing L, Garrigue V, Mourad G, Morelon E, Soulillou JP, Dantal J (2012) Poor long-term outcome in second kidney transplantation : a delayed event. PLoS One, 7(10): e47915. 43. Thibaud A, Foucher Y, Danger R, Migone T, Pallier A, Castelli C, Castagnet S, Devys A, Cesbron A, Giral M, Soulillou JP, Brouard S (2012) BAFF and BAFF-R levels are associated with risk of long-term kidney graft dysfunction and development of donor-specific antibodies. Am J Transplant, 12(10): 2754-62. 44. Michel L, Foucher Y, Vukusic S, Confavreux C, De Seze J, Brassat D, Clanet M, Clavelou P, Ouallet J, Brochet B, Pelletier J, Lebrun C, Lepage E, Le Frere F, Le Fresne S, Jacq M, Barriere P, Wiertlewski S, Laplaud D (2012) Increased risk of multiple sclerosis relapse after in vitro fertilisation. Neurol Neurosurg Psychiatry, 83(8): 796-802. 45. Foucher Y, Combescure C, Ashton-Chess J, Giral M (2012) Prognostic Markers: Data Misinterpretation Often Leads to Overoptimistic Conclusions. Am J Transplant, 12(4): 1060-1. 46. Foucher Y, Giral M, Soulillou JP, Daurès JP (2012) Cut-off estimation and medical decision making based on a continuous prognostic factor : the prediction of kidney graft failure. Int J Biostat, 8(1): 1–13. 47. Degauque N, Boeffard F, Foucher Y, Ballet C, Brouard S, Soulillou JP (2011) The Blood of Healthy Individuals Exhibits CD8 T Cells with a Highly Altered TCR Vb Repertoire but with an Unmodified Phenotype. PLoS One, 6(6): e21240. 48. Brouard S, Le Bars A, Dufay A, Gosselin M, Foucher Y, Guillet M, Cesbron A, Thervet E, Legendre C, Dugast E, Pallier A, Guillot-Gueguen C, Lagoutte L, Evanno G, Giral M, Soulillou JP (2011) Identification of a gene expression profile associated with operational tolerance among a selected group of stable kidney transplant patients. Transplantation International, 24(6): 536-547. 49. Racapé M, Duong Van Huyen J, Danger R, Giral M, Bleicher F, Foucher Y, Pallier A, Pilet P, Tafelmeyer P, Ashton-Chess J, Dugast E, Pettre S, Charreau B, Soulillou JP, Brouard S (2011) The involvement of SMILE/TMTC3 in endoplasmic reticulum stress response. PLoS One, 6(5): e19321. 50. Foucher Y, Giral M, Soulillou JP, Daurès JP (2010) Time-dependent ROC analysis for a three-class prognostic with application to kidney transplantation. Statistics in Medicine, 29(30): 3079-87. 51. Foucher Y, Daguin P, Akl A, Kessler M, Ladrière M, Legendre C, Kreiss H, Kamar N, Rostaing L, Garrigue V, Bayle F, de Ligny B, Buchler M, Meier C, Soulillou JP, Giral M (2010) A clinical scoring system highly predictive of long-term kidney graft survival.. Kidney International, 78(12): 1288-94. 52. Giral M, Foucher Y, Karam G, Labrune Y, Kessler M, de Ligny B, Buchler M, Bayle F, Meyer C, Trehet N, Daguin P, Renaudin K, Moreau A, Soulillou JP (2010) Kidney and recipient weight incompatibility reduces long-term graft survival. Journal of the American Society of Nephrology, 21(6): 1022-9. 53. Asthon-chess J, Mai H, Jovanovic V, Renaudin K, Foucher Y, Giral M, Moreau A, Dugast E, Mengel M, Racapé M, Danger R, Usual C, Smith H, Guillet M, Gwinner W, Le Berre L, Dantal J, Soulillou JP, Brouard S (2010) Immunoproteasome beta subunit 10 is increased in chronic antibody-mediated rejection.. Kidney International, 77(10): 880-90. 54. Foucher Y, Giral M, Soulillou JP, Daurès JP (2010) A flexible semi-Markov model for interval-censored data and goodness-of-fit testing. Statistical Methods in Medical Research, 19(2): 127-45. 55. Foucher Y, Giral M, Soulillou JP, Daurès JP (2010) Cut-off estimation and medical decision making based on a continuous prognostic factor: the prediction of kidney graft failure. International Journal of Biostatistics, 8(1): article 1. 56. Bruneau S, Le Berre L, Hervé C, Kamal M, Naulet J, Tesson L, Foucher Y, Soulillou JP, Sahali D, Dantal J (2009) Potential role of soluble ST2 protein in idiopathic nephrotic syndrome recurrence following kidney transplantation. American Journal of Kidney Diseases, 54(3): 522-32. 57. Asthon-chess J, Dugast E, Colvin R, Giral M, Foucher Y, Moreau A, Renaudin K, Braud C, Devys A, Brouard S, Soulillou JP (2009) Regulatory, effector, and cytotoxic T cell profiles in long-term kidney transplant patients. Journal of the American Society of Nephrology, 20(5): 1113-22. 58. Rousseau V, Foucher Y, Giral M, Soulillou JP, Daurès JP (2009) Informative censoring in a multiplicative relative survival model: application for kidney transplant recipients. JP Journal of Biostatistics, 3(3): 195-214. 59. Asthon-chess J, Giral M, Mengel M, Renaudin K, Foucher Y, Gwinner W, Braud C, Dugast E, Quillard T, Thebault P, Chiffoleau E, Braudeau C, Charreau B, Soulillou JP, Brouard S (2008) Tribbles-1 as a Novel Biomarker of Chronic Antibody-Mediated Rejection. Journal of the American Society of Nephrology, 19(6): 1116-27. 60. Foucher Y, Daguin P, Kessler M, Laveyssiere L, Legendre C, Kreiss H, Durand D, Layrolle P, Mourad G, Garrigue V, Daurès JP, Soulillou JP, Giral M (2008) How to evaluate the long-term prognostic capacity of pre-graft variables in transplantation?. Clinical Transplant: 113-8. 61. Foucher Y, Giral M, Soulillou JP, Daurès JP (2007) A semi-Markov model for multistate and interval-censored data with multiple terminal events. Application in renal transplantatio. Statistics in Medicine, 26(30): 5381-93. 62. Castelli C, Combescure C, Foucher Y, Daurès JP (2007) Cost-effectiveness analysis in colo-rectal cancer using a semi-Markov model. Statistics in Medicine, 26(30): 5557-71. 63. Mathieu E, Foucher Y, Dellamonica P, Daurès JP (2007) A Parametric and Non Homogeneous Semi-Markov Process for HIV control. Methodology and Computing in Applied Probability, 9(3): 389-97. 64. Giral M, Bertola JP, Foucher Y, Villers D, Bironneau E, Blanloeil Y, Karam G, Daguin P, Lerat L, Soulillou JP (2007) Effect of brain-dead donor resuscitation on delayed graft function: results of a monocentric analysis. Transplantation, 83(9): 1174-81. 65. Foucher Y, Saint-Pierre P, Puglièse P, Daurès JP (2006) A Semi-Markov Frailty Model for Multistate Survival Data : Illustration on HIV Disease. Far East Journal of Theoretical Statistics, 19: 185-201. 66. Foucher Y, Mathieu E, Saint-Pierre P, Durand JF, Daurès JP (2005) A semi-Markov model based on Generalized Weibull distribution with an illustration for HIV disease. Biometrical Journal, 47(6): 825-33. 67. Giral M, NGuyen JM, Karam G, Kessler M, Hurault de Ligny B, Buchler M, Bayle F, Meyer C, Foucher Y, Martin ML, Daguin P, Soulillou JP (2005) Impact of graft mass in the clinical outcome of kidney transplants. Journal of the American Society of Nephrology, 16: 261-268. 1. Ladrière M, Foucher Y, Legendre C, Kamar N, Garrigue V, Morelon E, Kressler M, Soulillou JP, Giral M (2010) The Western Europe Cohort Of Kidney Transplanted Recipients - The DIVAT Network. In Clinical Transplants (J. Michael Cecka and Paul I. Terasaki): Terasaki Foundation Laboratory. 2. Foucher Y, Daguin P, Kessler M, Ladrière M, Legendre C, Kreiss H, Durand D, Mourad G, Garrigue V, Soulillou JP, Giral M (2008) How well do pre- and peritransplant variables predict the long-term results of kidney transplantation?. In Clinical Transplants - Chapter 10 (J. Michael Cecka and Paul I. Terasaki): Terasaki Foundation Laboratory. 1. Gillaizeau F, Giral M, Dantan E, Dragun D, Soulillou JP, Foucher Y (2014) Multi-state analysis of kidney transplant recipients outcome: a semi-Markov model for studying the role of pre-transplant sensitization against Angiotensin II Type 1 receptor. Journal de la Société Française de Statistique , 155(1): 117-133. 2. 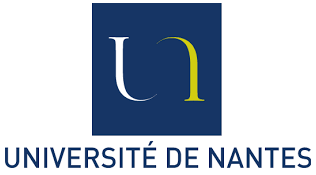 Arnaud I, Elkouri D, NGuyen JM, Foucher Y, Karam G, Lepage J, Billard M, Potel G, Lombrail P (2005) Local guidelines and quality of antibiotic treatment in urinary tract infections: a clinical audit in two departments of a university hospital. La Presse Médicale, 34(22): 1697-­1702. 3. Arnaud I, Elkouri D, NGuyen JM, Foucher Y, Karam G, Lepage J, Billard M, Potel G, Lombrail P (2005) Adequate prescription of antibiotic therapy for urinary tract infections in hospital: identifying and correcting non-observance of guidelines. Medecine et maladies infectieuses, 25(3): 141-48. 4. Loup P, Gerber M, Foucher Y, Saintot M, Hernandez M, Romieu I, Daurès JP (2004) Evaluation de l'exposition individuelle au dioxyde d'azote et à l'ozone en fonction d'un mélange de variables agrégées et individuelles : méthodes de modélisation disponibles à partir d'un exemple. Journal de la société française de statistique, 145(3): 69-79. 1. Foucher Y (2013) Modélisation et pronostic de l'évolution de pathologies chroniques : Applications en transplantation renale. , 193. 2. Foucher Y (2007) Modèles semi-Markoviens : Application à l'analyse de l'évolution de pathologies chroniques. Thèse de doctorat de l'Université Montpellier 1, 184. 1. Fournier M.C., Foucher Y., Blanche P., Giral M., Dantan E. Dynamic predictions of long-term kidney graft failure: an information tool promoting patient-centered care. Statistical Symposium (Invitée) . 45th Annual Meeting of the European Society for Blood and Marrow Transplantation, 24-27 Mars 2019, Francfort Allemagne, 2019. 2. Querard A.H., Le Borgne F., Giral M., Foucher Y., Dantan E. Propensity score-based comparison of the graft failure risk between kidney transplant recipients of standard and expanded criteria donor grafts: towards increasing the pool of marginal donors. Congrès Européen de Transplantation (ESOT) Barcelone , 2017. 3. Gillaizeau F., Dantan E., Giral M., Foucher Y. Additive relative survival multistate semi-Markov model. International Society for Clinical Biostatistics, 35th Annual Conference, Vienna, Austria, 2014. 4. Le Borgne F., Foucher Y. Adjusted survival curves by using inverse probability of treatment weighting: the comparison of three adapted log-rank tests. International Society for Clinical Biostatistics (ISCB), AUgust 2014, Vienna (Austria), 2014. 5. Foucher Y., Combescure C., Dantan E. Confusing correlation and prediction: a simple approach to evaluate marker accuracy for predicting time-to-event. 39th Annual Meeting of the European Group for Blood and Marrow Transplantation, London, 2013. 6. Gillaizeau F., Foucher Y., Dragun D., Soulillou J.P., Dufay A., Van Huyen J., Renaudin K., Moreau A., Dantan E., Giral M. A multistate model to investigate the relationship between pre-graft level of Angiotensin II Type 1 Receptor (AT1R) antibodies and kidney transplant recipients outcome. American Transplant Congress, Seattle, American Journal of Transplantation 2013;13 Suppl 5:194-194, 2013. 7. Trébern-Launay K., Giral M., Foucher Y. Multiplicative-regression model to compare the effect of factors associated with the time to graft failure between first and second renal transplant. International Society for Clinical Biostatistics, Bergen, Norway, August 23-27, 2012. 8. Dantan E., Combescure C., Ashton-Chess J., Lorent M., Giral M., Foucher Y. How to evaluate the prognostic capacity of surrogate makers?. The British Transplant Society, Glasgow, 2012. 9. Harzallah k., Frimat L., Giral M., Foucher Y., Soulillou J.P., Dantal J. Induction Therapy Is Not Associated with Increasing Risk of Cancer After Renal Transplantation . The Federation of Clinical Immunology Societies (FOCIS), 2012. 10. Lorent M., Giral M., Foucher Y. Relative ROC curves: a solution for evaluating the accuracy of a marker to predict the cause-specific mortality. International Society for Clinical Biostatistics, 2012, Bergen, 2012. 11. Degauque N., Boeffard F., Foucher Y., Pallier A., Danger R., Dantal J., Giral M., Brouard S., Soulillou J.P. Altered TCR Vb Repertoire Identifies Kidney Recipient with a Higher Risk of Graft Dysfunction. American Transplant Congress, 2012, Boston, 2012. 12. Rabot N., Renaudin K., Foucher Y., Castagnet S., Brouard S., Soulillou J.P. Clinical Profiles Associated with Histological Lesions on One Year Kidney Transplant Systematic Biopsies and Correlations on Graft Outcome. American Transplant Congress, 2012, Boston, 2012. 13. Brissot E., Foucher Y., Malard F., Peric Z., Clavert A., Chevallier P., Guillaume T., Delaunay J., Ayari S., Harousseau J.L., Moreau P., Coste-Burel M., Imbert-Marcille B., Gregoire M., Braudeau C., Josien R., Gaugler B., Mohty M. . A scoring system predictive of extensive chronic graft-versus-host disease after allogeneic stem cell transplantation. 38th Annual Meeting of the European-Group-for-Blood-and-Marrow-Transplantation, 2012, Genève, 2012. 14. Brissot E., Foucher Y., Malard F., Peric Z., Clavert A., Chevallier P., Delaunay J., Ayari S., Harousseau J.L., Moreau P., Coste-Burel M., Imbert-Marcille B., Gregoire M., Braudeau C., Josien R., Gaugler B., Mohty M.. A Scoring System Predictive of Extensive Chronic Graft-Versus-Host Disease (cGVHD) After Allogeneic Stem Cell Transplantation (allo-SCT). 53rd Annual Meeting and Exposition of the American-Society-of-Hematology, 2012, San Diego, 2012. 15. Gillaizeau F., Dragun D., Soulillou J.P., Dufay A., Van Huyen J., Renaudin K., Moreau A., Giral M., Foucher Y. A Semi-Markov model with Generalized Weibull distribution for multistate data in kidney transplant recipients. Congrès Annuel de la Société Francophone de Transplantation, 2012, Nantes, Transplant International 2012;25 Suppl 2:34-34, 2012. 16. Gillaizeau F., Giral M., Dantan E., Dragun D., Soulillou J.P., Foucher Y. A Semi-Markov model with Generalized Weibull distribution for multistate data in kidney transplant recipients. Journées 2012 de la Société Française de Biométrie, Paris, 2012. 17. Trébern-Launay K., Foucher Y., Giral M., Legendre C., Kessler M., Kamar N., Garrigue V., Morelon E., Dantal J. Poor outcome of second kidney transplantation: a delayed event. European Society for Organ Transplantation (ESOT) Congress, Glasgow, UK, September 4-7, 2011. 18. Mai H., Giral M., Launay K., Foucher Y., Garrigue V., Legendre C., Kamar N., Kessler M., Morelon E., Hourmant M., Brouard S., Soulilou J.P.. Kidney after Nonrenal Organ Transplantation-Analysis of a 15-Year Multicenter Cohort. American Transplant Congress, Avril 2011, Philadelphia, 2011. 19. Danger R., Lavault A., Giral M., Van Huyen J., Foucher Y., Pallier A., Degauque N., Soulillou J.P., Brouard S. Over-Expression in Blood and Kidney Graft from Patients Exhibiting Chronic Antibody Mediated Rejection. American Transplant Congress, Avril 2011, Philadelphia, 2011. 20. Brouard S., Pallier A., Renaudin K., Devys A., Cesbron A., Guillot-Gueguen C., Foucher Y., Subra J.F., Villemain F., Legendre C., Thervet E., Bemelman F.J., Le Roux S., Roussey G., Orlando G., Gamier A., Jambon H., De Saeazan H., Le Monies Braun L., Noel C., Pillebout E., Moal M.C., Cantarell C., Hoitsma A., Ranbant M., Testa A., Danger., Soulillou J.P., Giral M R. . Natural History of Clinical Operational Tolerance after Kidney Transplantation. American Transplant Congress, Avril 2011, Philadelphia, 2011. 21. Hegner B., Giral M., Dufay A., Van Huyen J., Foucher Y., Renaudin K., Moreau A., Philippe A., Dechend R., Heidecke H., Cesbron A., Devys A., Soulillou J. P. . Pre-transplant sensitization against angiotensin II Type 1 receptor is a novel independent risk factor of antibody-mediated tejection. uropean Society for Organ Transplantation (ESOT) Congress, Octobre 2011, 2011. 22. Foucher Y., Rigouin P., Trébern-Launay K., Akl A., Landais P., Duny Y., Daurès J.P., Giral M. The modeling of the evolution of kidney transplant recipients : Applications to the DIVAT cohort. International Society for Clinical Biostatistics, Montpellier, France, August 29-September 2, 2010. 23. Devys A., Lino M., Foucher Y., Mc Ilroy A., Soulillou J.P., Cesbron A., Blancho G. Would preformed HLA antibodies detected by single antigen assay predict acute humoral rejection or needlessly contraindicate transplantation?. 24th European Immunogenetics and Histocompatibility Conference, 2010. 24. Danger R., Giral M., Foucher Y., Pallier A., Degauque N., Soulillou J.P., Brouard S. miRNA Signatures in Blood of Kidney Transplant Recipients. 10th American Transplant Congress, 2010. 25. Racapé M., Van Huyen J., Danger R., Giral M., Foucher Y., Bleicher F., Pallier A., Tafelmeyer P., Asthon-chess J., Soulillou J.P., 10th American Transplant Congress. SMILE, a New Molecule Overexpressed in the Blood of Operationally Tolerant Patients, Is Involved in Endoplasmic Reticulum Stress Response. , 2010. 26. Giral M., Dufay A., Van Huyen J., Foucher Y., Philippe A., Heidecke H., Cesbron A., Devys A., Soulillou J.P., Dragun D. Pre-Transplantation Non-HLA Immunisation Against Angiotensin II Type 1 Receptor (AT(1)R-Antibody) Is an Independent Risk Factor of Early Acute Rejection. 10th American Transplant Congress, 2010. 27. Foucher Y. Développements modernes en analyse des données de survie. Biostatistics workshop at Ilam University of Medical Sciences, avril 2010, Iran, 2010. 28. Roussey G., Foucher Y., Guest G., Ranchin B., Maisin A., Novo R., Andre J., Cloarec S., Guyot C. Influence of Corticosteroid in Renal Transplantation.. 15th Congress of the International Pediatric Nephrology Association, 2010, 2010. 29. Michel L., Foucher Y., De Seze J., Vukusic S., Confavreux C., Brassat D., Ouallet J., Brochet B., Wiertlewski S., Laplaud D. Increase of Relapse Rate in Patients with Multiple Sclerosis after In-Vitro Fertilization Is Related to the Use of LHRH Agonists: A Multicenter Retrospective Study in France. 62nd Annual Meeting of the American-Academy-of-Neurology, 2010, 2010. 30. Foucher Y. The modeling of the evolution of kidney transplant recipients Applications to the DIVAT cohort. International Society for Clinical Biostatistics, Aout 2009, Montpellier (France), 2009. 31. Foucher Y., Giral M., Soulillou J.P., Daurès J.P., International Society for Clinical Biostatistics . Time-dependent ROC analysis for a three-class prognostic. , 2009. 32. Victorri-Vigneau C., Foucher Y., Huet M., Guillou-Landreat M., Sébille V., Jolliet P. Use of an original statistical methodology to identify factors linked with a bad observance in the opiate maintenance treatment follow up. 30th Pharmacovigilance Meeting, 2009. 33. Ashton-Chess J., Dugast E., Colvin R., Giral M., Foucher Y., Moreau A., Renaudin K., Braud C., Devys A., Brouard S., Soulilou J.P.. Regulatory, Effector, and Cytotoxic T Cell Profiles in Long-Term Kidney Transplant Patients. 8th American Transplant Congress, 2009, Toronto, 2009. 34. Victorri-Vigneau C., Foucher Y., Huet M., Guillou-Landreat M., Sébille V., Jolliet P. Use of an original statistical methodology to identify factors linked with a bad observance in the opiate maintenance treatment follow up. Fundamental and clinical pharmacology, 2009, 2009. 35. Foucher Y., Giral M., Soulillou J.P., Daurès J.P. Time-dependent ROC analysis for a three-class prognostic. International Society for Clinical Biostatistics, 2009, Prague, 2009. 36. Giral M., Foucher Y., Labrune Y., Karam G., Kessler M., Hurault de Ligny B., Buchler M., Bayle F., Meyer C., Daguin P., Soulilou J.P.. Kidney and recipient weight incompatibility: a cause of early proteinuria and reduced long-term graft survival. American Transplant Congress, 2009, Boston, 2009. 37. Foucher Y., Giral M., Soulillou J.P., Daurès J.P. An adaptation of time-dependent ROC curves to construct a prognosis test based on the repetition of a surrogate marker: Application on the kidney graft failure and the creatinine clearance. International Society for Clinical Biostatistics (Copenhague), 2008. 38. Asthon-chess J., Dugast E., Colvin R., Giral M., Foucher Y., Moreau A., Renaudin K., Braud C., Brouard S., Soulillou J.P. Regulatory, effector, and cytotoxic T cell profiles in long-term kidney transplant patients. 8th American Transplant Congress, 2008. 39. Asthon-chess J., Jovanovic V., Foucher Y., Dugast E., Giral M., Renaudin K., Heslan M., Soulillou J.P., Brouard S. The immunoproteasome subunit beta 10 as a novel peripheral blood and intragraft biomarker of chronic antibody mediated allograft rejection in clinical transplantation. American Transplant Congress (Toronto), 2008. 40. Giral M., Foucher Y., Daurès J.P., Soulillou J.P. New tool to analyse confounding factors in kidney graft outcome: A DIVAT data base study. American Transplant Congress, 2008, Toronto, 2008. 41. Ashton-Chess J., Jovanovic V., Foucher Y., Dugast E., Giral M., Renaudin K., Heslan M., Soulillou J.P., Brouard S. The immunoproteasome subunit beta 10 as a novel peripheral blood and intragraft biomarker of chronic antibody mediated allograft rejection in clinical transplantation. American Transplant Congress, 2008, Toronto, 2008. 42. Allain-Launay E., Roussey-Kesler G., Guest G., Ranchin B., Maisin A., Andre J., Cloarec S., Foucher Y., Guyot C. Pediatric renal transplantation: report from a French pediatric database. European Society for Paediatric Nephrology, 2008, Montpellier, 2008. 43. Foucher Y., Soulillou J.P., Daurès J.P., Giral M. Longitudinal analysis of kidney transplant recipients with multi-state model. Annual American Transplant Congress, 2007. 44. Foucher Y., Giral M., Soulillou J.P., Daurès J.P. A semi-Markov model for interval-censored data and multiple event: Application to the evolution of kidney transplant recipients. 27th Annual Conference of the International Society for Clinical Biostatistics (ISCB), 2006. 45. Foucher Y., Giral M., Soulillou J.P., Daurès J.P. A semi-Markov Model with Interval Censoring and Non-Proportional Hazards. 23th International Biometric Conference, 2006. 46. Asthon-chess J., Giral M., Braud C., Baeten D., Heslan M., Chiffoleau E., Foucher Y., Soulillou J.P., Brouard S. Tribbles homolog 1, a peripheral blood marker of chronic rejection in clinical renal allotransplantation identified by transcriptome profiling: role and correlation with renal histology and function. World transplant congress, 2006. 47. Cuzin L., Foucher Y., Agher R., Barone M., Billaud E., Daurès J.P., Dellamonica P., Druart P., Salmi D., Puglièse P. Safe and effective switch to a triple nucleosidic reverse transcriptase inhibitors regimen in a successfully pre-treated French HIV-infected population. IAS Conference, 2005. 48. Mathieu E., Foucher Y., Dellamonica P., Daurès J.P. Parametric and Non Homogeneous semi-Markov Process for HIV Control.. Applied Stochastic Models and Data Analysis (ASMDA), 2005. 49. Giral M., Foucher Y., Karam G., NGuyen J.M., de Ligny B., Buchler M., Bayle F., Meyer C., Martin M.L., Soulillou J.P. Impact of graft mass on the clinical outcome of kidney transplants. Annual American Transplant Congress, 2004. 50. Moret L., NGuyen J.M., Foucher Y., Lombrail P. How to deal with methodological problems due to 'not applicable' responses in psychometric scales : the case of patient satisfaction measurement. Joint International Conference of International Society for Clinical Biostatistics, Juillet 2003, Londres, 2003. 51. Mathieu E., Foucher Y., Dellamonica P., Daurès J.P. Markovian modeling of an HIV-infected cohort. ISCB 25th Annual Conference of the International Society for Clinical Biostatistics, 2003. 52. Moret L., NGuyen J.M., Foucher Y., Lombrail P. Is it possible to standardize patient satifaction measure in French hospitals ?. European Forum on Quality Improvement in Health Care, Mai 2003, Bergen, 2003. 1. Gillaizeau F., Le Borgne F., Rousseau C., Leyrat C., Giral M., Chapal M., Barbin L., Laplaud D., Giraudeau B., Foucher Y. The traditional multivariable logistic regression compared to propensity score: a study to put an end to preconceived ideas. 4th annual meeting of the UK Causal Inference Meeting, 13th-15th April 2016, London, 2016. 2. Sébille V., Hardouin J.B., Bonnaud-Antignac A., Tessier P., Giral M., Foucher Y., Meurette A. A. Response shift in patients receiving a pre-emptive kidney transplant compared to similar recipients having experienced a short dialysis period: study protocol for a prospective, observational, multicenter controlled study. 22th Annual Conference of the ISOQOL, 21-24 october 2016, Vancouver, Canada, Quality of life research 2015, 24: 63, 2015. 3. Querard A.H., Gillaizeau F., Couvrat-Desvergnes G., Dantal J., Daguin P., Le Floch S., Castagnet S., Brouard S., Foucher Y., Giral M. . American Transplant Congress, May 2-6 2015, Philadelphia, 2015. 4. Querard A.H., Foucher Y., Combescure C., Dantan E., Larmet D., Lorent M., Pouteau L.M., Giral M., Gillaizeau F. Comparison of survival outcomes between Expanded Criteria Donors and Standard Criteria Donors kidney transplant recipients: a systematic review and meta-analysis. American Transplant Congress, May 2-6 2015, Philadelphia, 2015. 5. Fournier M.C., Dantan E., Foucher Y., Giral M. A joint survival longitudinal approach to better assess the etiological role of risk factors of kidney transplant graft failure. American transplant congress, 2-6 mai 2015, Philadelphia, 2015. 6. Trébern-Launay K., Foucher Y., Giral M., Bayat-Makoei S., Kessler M. Competing Risks of Death and Transplantation for ESRD Patients Waitlisted: a Mixture Model opening new Perspectives in Graft Allocation. AST-ESOT Congress, Madrid, Spain, October 17-19, 2014. 7. Lorent M., Foucher Y., Trébern-Launay K., Legendre C., Kreiss H., Mourad G., Garrigue V., Rostaing L., Kamar N., Kessler M., Ladrière M, Morelon E, Buron F, Giral M. The 1-year RRS: a Recipient Risk Score for robust prediction of the mortality after the first year of kidney transplantation. World Transplant Congress (WTC), San Francisco, USA, July 26-31, 2014. 8. Querard A.H., Gillaizeau F., Pouteau L.M., Foucher Y., Larmet D., Dantan E., Lorent M., Combescure C., Giral M. Expanded Criteria Donor in Kidney Transplantation : a meta-analysis. European Society for Organ Transplantation, 17-19 October 2014, Madrid, 2014. 9. Trébern-Launay K., Foucher Y., Dantal J., Giral M. A multiplicative-regression model to compare the risk factors associated with time to graft failure between a first and second renal transplant. European Society for Organ Transplantation (ESOT), Vienna, Austria, September 8-11, 2013. 10. Lorent M., Foucher Y., Giral M. Net time-dependent ROC curves : a new method for evaluating the accuracy of a marker to predict mortality related to end-stage renal disease in kidney transplant recipients.. European Society for Organ Transplantation (ESOT), September 2013, Vienna (Austria), 2013. 11. Trébern-Launay K., Foucher Y., Dantal J., Giral M. A multiplicative-regression model to compare the risk factors associated with time to graft failure between a first and second renal transplant. American Transplant Congress (ATC), Seattle, USA, May 18-22, 2013. 12. Lorent M., Foucher Y., Giral M. Net time-dependent ROC curves : a new method for evaluating the accuracy of a marker to predict mortality related to end-stage renal disease in kidney transplant recipients.. American Transplant Congress (ATC), May 2013, Seattle (USA), 2013. 13. Combescure C., Weber D., Daurès J.P., Perneger T., Foucher Y. Prognostic performances binary factors: prognostic roc (proc) curves. 31st Annual Cinference of the International Society for Clinical Biostatistics, 2010. 14. Moret L., Foucher Y., Lombrail P., NGuyen J.M. Relationship between patient satisfaction with care and patient age : applicaton of B-spline to multiple linear regression. European Congress of Epidemiology, Septembre 2004, Porto (Portugal), 2004. 1. Fournier M.C., Foucher Y., Giral M., Dantan E. Dynamic predictions of long-term kidney graft failure: an information tool promoting patient-centered care. Autumn School DHU2020, 2018. 2. Fournier M.C., Le Borgne F., Loncle C., Dantal J., Foucher Y. Plug-Stat® : un nouveau logiciel statistique sur mesure pour mieux valoriser les données de cohortes. Exemple de l’étude de l’impact en vie réelle de l’utilisation des machines de perfusion en transplantation rénale . Journées du GDR Stat et Santé, 2018. 3. Frasca D., Léger M., Foucher Y., Le Borgne F. Valoriser les cohortes de patients admis réanimation grâce à Plug-Stat® : un logiciel d’analyse statistique sur-mesure.. SFAR, septembre 2018, Paris, 2018. 4. Fournier M.C., Foucher Y., Giral M., Dantan E. Une application Shiny pour prédire dynamiquement la survie patient-greffon d’un patient transplanté rénal : vers une décision médicale plus partagée. 7e rencontres R - Rennes, 2018. 5. Fournier M.C., Foucher Y., Giral M., Dantan E. Prédictions dynamiques du risque d’échec de greffe : un outil pour aider à l’information des patients transplantés rénaux et une prise en charge centrée sur le patient et ses attentes.. 12e conférence francophone d'épidémiologie clinique (EPICLIN 2018) et 25e journées des statisticiens des centres de lutte contre le cancer, 30 mai 2018, Nice, RESP, 2018. 6. Le Borgne F., Combescure C., Gillaizeau F., Giral M., Chapal M., Giraudeau B., Foucher Y. Courbes ROC standardisées dépendantes du temps pour évaluer les capacités pronostiques inhérentes à un marqueur en tenant compte des facteurs de confusion.. EPICLIN 2016 Strasbourg, 2016. 7. Gillaizeau F., Le Borgne F., Rousseau C., Leyrat C., Giral M., Chapal M., Barbin L., Laplaud D., Giraudeau B., Foucher Y. Régression logistique multivariée traditionnelle contre scores de propension : une étude pour mettre fin aux idées préconçues. 10e conférence francophone d'épidémiologie clinique (EPICLIN 2016) et 23e journées des statisticiens des centres de lutte contre le cancer, 25-27 mai 2016, Strasbourg, 2016. 8. Fournier M.C., Blanche P., Foucher Y., Giral M., Dantan E. Construction d’un score pronostique dynamique et évaluation de ses performances : application en transplantation rénale. 10e conférence francophone d'épidémiologie clinique (EPICLIN 2016) et 23e journées des statisticiens des centres de lutte contre le cancer, 2016. 9. Frasca D., Feuillet F., Bodet-Contentin L., Asehnoune K., Roquilly A., Mimoz O., Giraudeau B., Foucher Y. Le ventilator-free days comme critère de jugement dans les études de recherche clinique en réanimation : proposition d’une approche multi-état alternative. 10e Conférence Francophone d’Épidémiologie Clinique, Revue d'Épidémiologie et de Santé Publique, Volume 64, Supplement 3, May 2016, Pages S147, 2016. 10. Fournier M.C., Foucher Y., Giral M., Dantan E. Etude des déterminants de santé associés à l’évolution de la créatininémie et / ou du risque d’échec de greffe chez des patients transplantés rénaux : une approche par modélisation conjointe. GDR Statistique & Santé, 2015. 11. Trébern-Launay K., Foucher Y., Giral M., Kessler M., Bayat-Makoei S., Briançon S., Kessler M. Risques compétitifs de décès et de transplantation pour les patients en insuffisance rénale terminale inscrits sur liste d’attente: un modèle de mélange ouvrant de nouvelles perspectives pour l’allocation des greffons. Conférence Francophone d’Epidémiologie Clinique (EPICLIN), Montpellier, France, May 20-22, 2015. 12. Fournier M.C., Foucher Y., Giral M., Dantan E. Etude des déterminants de santé associés à l’évolution de la créatininémie et / ou du risque d’échec de greffe chez des patients transplantés rénaux : une approche par modélisation conjointe. EPICLIN, Montpellier, 20-22 mai 2015, 2015. 13. Gillaizeau F., Senage T., Le Tourneau T., Roussel J., Foucher Y. La détérioration de bioprothèse valvulaire : un problème majeur de santé publique largement sous-estimé par la non prise en compte de la censure par intervalle et l’évolution multi-états de la maladie. 9ème Conférence Francophone d’Epidémiologie Clinique (EPICLIN), 20-22 mai 2015, Montpellier, 2015. 14. Dantan E., Foucher Y., Giral M., Tessier P. Quel seuil de discrimination pour un test pronostique à des fins de médecine stratifiée ? Une approche pratique d’une théorie de la décision basée sur les QALYs. 9ème Conférence Francophone d’Epidémiologie Clinique (EPICLIN), 20-22 mai 2015, Montpellier, 2015. 15. Fournier M.C., Gillaizeau F., Le Fur A., Dantal J., Foucher Y. Construction et estimation des capacités d’un score pronostique : intérêts de la pénalisation de LASSO et de l’estimateur bootstrap 0.632+ appliqués aux courbes ROC dépendantes du temps. 46e Journées de Statistique de la SFdS, 2-6 juin 2014, Rennes, 2014. 16. Le Borgne F., Foucher Y. Tests du Log-rank ajusté : étude de simulations. Journées de la Société Française de Statistique (SFDS), Juin 2014, Rennes (France), 2014. 17. Gillaizeau F., Dantan E., Giral M., Foucher Y. A multistate additive relative survival semi-Markov model. 46e Journées de Statistique de la SFdS, 2-6 juin 2014, Rennes, 2014. 18. Dantan E., Combescure C., Lorent M., Ashton-Chess J., Daguin P., Classe J.M., Giral M., Foucher Y. An original approach to evaluate the prognostic marker capacity using published survival curves. 46e Journées de Statistique de la SFdS, 2-6 juin 2014, Rennes, 2014. 19. Trébern-Launay K., Foucher Y. Deux stratégies alternatives pour comparer l’effet des facteurs de risque entre 2 groupes: Illustration par l’analyse des premières et des secondes transplantations rénales. 46e Journées de Statistique de la SFdS, Rennes, France, June 2-6, 2014. 20. Lorent M., Giral M., Foucher Y. Courbes ROC nettes dépendantes du temps : une méthode d’évaluation de la capacité d’un marqueur à prédire la mortalité spécifiquement liée à une maladie. Société Française de Statistique (SFDS), Juin 2014, Rennes (France), 2014. 21. Lorent M., Foucher Y., Giral M. Courbes ROC nettes dépendantes du temps : méthode d’évaluation de la capacité d’un marqueur à prédire la mortalité liée à l’insuffisance rénale terminale chez des patients transplantés rénaux. Société Francophone de transplantation (SFT), Décembre 2012, Nantes (France), 2012. 22. Foucher Y. des modèles Markoviens dans la modélisation des patients en addictologie. Journées scientifiques de l’Université de Nantes, Juin 2009, Nantes, 2012. 23. Victorri-Vigneau C., Foucher Y. Paramètres de suivi des traitements de substitution aux opiacés sur 10 ans à partir d'une base de données informatisée de consultation en addictologie, amélioration de la prise en charge. Recherche en Pharmaco-épidémiologie, Nantes, 2009. 24. Foucher Y. Développements autour des courbes ROC dépendantes du temps. Rencontres méthodologiques de la Direction Interrégionale de la Recherche Clinique (DIRC) Sud-Est, Mars 2009, Marseille (France), 2009. 25. Foucher Y., Giral M., Soulillou J.P., Daurès J.P. Modèle semi-Markovien avec double censure par intervalle et test d'adéquation pour l'étude de l'évolution des patients transplantés rénaux. 39ème journées de statistique (SFDS), 2007. 26. Foucher Y., Giral M., Dellamonica P., Daurès J.P. Analyse des données de survie par un modèle de fragilité paramétrique. 37ème journées de statistique (SFDS), 2005. 27. Moret L., Foucher Y., Lombrail P., NGuyen J.M. Modélisation de la relation entre score de satisfaction et âge du patient par la méthode des B-splines. . Association des épidémiologistes de langue française (ADELF), 2004. 28. Mathieu E., Foucher Y., Daurès J.P. Evaluation de l'évolution de patients VIH+. Biométrie et épidémiologie ­ Méthodes statistiques récentes pour l'épidémiologie, 2003. 1. Fournier M.C., Dantal J., Foucher Y. Valoriser ses données de cohorte avec Plug-Stat®: exemple de réalisation d’une étude sur les données de DIVAT. SFNDT Lille, RESP, 2018. 2. Léger M., Frasca D., Le Borgne F., Cinotti R., Seguin P., Asehnoune K., Dahyot-Fizelier C., Roquilly A., Foucher Y., Lasocki S. Impact des barbituriques chez des patients avec une hypertension intracrânienne, sous ventilation mécanique : une étude de cohorte avec pondération sur score de propension.. SFAR, septembre 2018, Paris, 2018. 3. Le Borgne F., Fournier M.C., Loncle C., Foucher Y. Plug-Stat : un nouveau logiciel statistique sur mesure pour mieux valoriser les données de cohortes. EPICLIN, May 2018, Nice , 2018. 4. Dantan E., Foucher Y., Combescure C., Lorent M., Ashton-Chess J., Daguin P., Giral M., Classe J.M. Evaluation a posteriori des capacités pronostiques d’un marqueur : Application au cancer du sein. 8èmes Journées du Cancéropôle GO, 2014. 5. Trébern-Launay K., Foucher Y., Dantal J., Giral M. A multiplicative-regression model to compare the risk factors associated with time to graft failure between a first and second renal transplant. Congrès de la Société Francophone de Transplantation (SFT), Nantes, France, December 12-15, 2012. 6. Huet M., Foucher Y., Guillou-Landreat M., Victorri-Vigneau C., Jolliet P., Sébille V. Chaines de Markov non homogènes d'ordre 1 à temps discrets appliqués à l'étude de l'observance de patients toxicomanes substitués au Subutex. Biostatistique et mesures subjectives en santé, Nantes, 2008, 2008. 7. Foucher Y., Soulillou J.P., Giral M. Courbes Roc Multi-états et temps dépendantes. Biostatistique et mesures subjectives en santé, Nantes, 2008, 2008. 8. Moret L., Foucher Y., Lombrail P., NGuyen J.M. Modélisation de la relation entre score de satisfaction et âge du patient par la méthode des B-splines. ADELF (Association des Epidémiologistes de Langue Française), Septembre 2004, Bordeaux, 2004.